This article describes how the Linked Open Data Cloud project allows data providers to publish structured data on the web according to the Linked Data principles. In this context, several link discovery frameworks have been developed for connecting entities contained in knowledge bases. In order to achieve a high effectiveness for the link discovery task, a suitable link configuration is required to specify the similarity conditions. Unfortunately, such configurations are specified manually; which makes the link discovery task tedious and more difficult for the users. 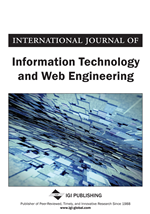 In this article, the authors address this drawback by proposing a novel approach for the automatic determination of link specifications. The proposed approach is based on a neural network model to combine a set of existing metrics into a compound one. The authors evaluate the effectiveness of the proposed approach in three experiments using real data sets from the LOD Cloud. In addition, the proposed approach is compared against link specifications approaches to show that it outperforms them in most experiments. Linked Data describes a new paradigm that allows sharing and connecting objects in different datasets using RDF links (Isele et al., 2011) to form a single global data space. The Linked Open Data Cloud (called the LOD Cloud)1, which is a project that allows publishing and interlinking structured data on the web according to the Linked Data principles (see the Linked Data section), has evolved from 870 datasets in January 2014 to 9960 datasets in June 2016, i.e., in two years. While the number of RDF triples has now exceeded 187 billion, less than 23% of these triples represent links between datasets2. In fact, links between the linked datasets play a vital role in data integration (Bryl et al., 2014). Generally, these links are generated by calculating the similarity between entities from different data sources (Heath & Bizer, 2011). Currently, many researches help to discover typed links between URIs3 that represent the same real-world object in different data sources ((Glaser et al., 2009), (Raimond et al., 2008), (Sánchez-Cervantes et al., 2013), (Scharffe et al., 2009), (Volz et al., 2009), (Isele et al., 2011), (Ngomo & Auer, 2011), (Ngomo, 2011), (Ngomo, 2012), (Nikolov et al., 2012), (Dreßler & Ngomo, 2014), (Bencherif et al., 2016)). The high effectiveness is a key requirement in the link discovery process. So, a link discovery framework should add links of high quality (in terms of precision, recall and F-measure) (Nentwig et al., 2015). Typically, a high precision consists of generating correct links to check the accuracy, while a high recall allows finding as many as possible links to ensure the completeness. The specification of a suitable link configuration is a key challenge that arises when trying to achieve a high effectiveness of a link discovery framework. An example of such specifications is the choice of an appropriate similarity measure and a threshold. Unfortunately, the configuration of these specifications is carried out manually; which makes the link discovery process more difficult for the users (mainly for users without experiences with semantic web technologies). In order to address this drawback, this article reports a new approach for the automatic determination of link specifications. The proposed approach is based on a neural network model to combine a set of existing metrics into a compound one. To the best of our knowledge, this approach is the first that uses an artificial neural network for the automatic determination of link specifications. It takes as input a pair of datasets from the LOD Cloud. Then, the authors use six similarity measures to compute the similarities between the instances. After that, they define a neural network model to combine them and create a new compound metric. Finally, the system visualizes the final result of mapping to check the accuracy and the completeness of links. A practical evaluation of the proposed approach using real datasets from the LOD Cloud, and a comparison between this approach and state-of-the-art approaches. The rest of this paper is organized as follows: First, the authors briefly provide a background on Linked Data, the link discovery problem and the Artificial Neural Network in the second section. Then, they review the state of the art approaches and string-based similarity measures in the third section. The fourth section gives an overview of the proposed approach. In the fifth section, the authors present the experimentation. Finally, the authors conclude and suggest some future works in the sixth section.